Window air conditioners have been very popular for a long period of time. 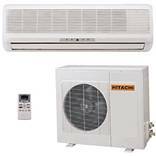 This type of air conditioner is distinguished with comparatively low price and is simple in installation. Its capacity varies from 2 to 6 kilowatts. One of its significant disadvantages is high level of noise. Portable air conditioner has small wheels, which makes it easy to relocate. Simplified installation and portability are main advantages of this type of air conditioner, but its relocation in the room is limited by length of the hose, which is used for emission of air outside. Disadvantage of such air conditioner is high level of noise, low coefficient of efficiency and high price. Condition systems are divided on split-systems and multi split-systems. Average split-system consists of one internal and one external unit; multi split-system has one external unit, number of internal units makes up 4 elements. Multi split-system is more complex and diverse as compared to an average split-system. Internal units of multi-split system differ according to capacity and type. Because of complexity of installation of such system the cost of its installation increases. 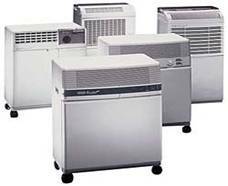 Split-systems have quite exact system of regulation of air temperature, possibility to manage direction and speed of air flow, function of working in heating regime, automatic timer of turning in and off and many other functions; quality and quantity of such functions depends on brand of air conditioner and its model. At present, air conditioners with split-systems are most widespread and popular because of its affordability and ability to compete with gas heaters and other heating systems. 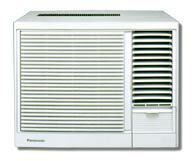 Capacity of wall-type air conditioner is 2-9 kwt. Installation of this type of air conditioner may be implemented in any room (office, apartment) area of which does not exceed 100 m2. Area between the inward and outward units should exceed 5-8 meters. This is the most widespread and available (from the point of view of its cost) air conditioner of split-system type. Channel air conditioner is intended for cooling air in several rooms. Its capacity (up to 25 kwt.) is enough for cooling air in apartments, houses and offices. As a rule, channel air conditioner is installed in the area between the hung and actual ceiling. Main advantage of this type of air conditioner comparing to other split-systems is possibility to deliver fresh air into the building; that is why it is frequently used in central systems of ventilation. Installation of cartridge air conditioner as well as installation of channel air conditioner requires hung ceiling. Thus unlike channel air conditioner “cartridge” air conditioner distributes cooled air by means of the lower part of the unit. 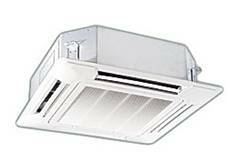 Consequently, the lower part of such air conditioner is of the size of standard ceiling panel – 600 х 600 mm, and in case of higher capacity - 1200 х 600 and is closed by distributive shutters. Main advantage of cartridge air conditioner is it unobtrusiveness, as only decorative grate can be seen. Another advantage of this type of conditioner is even distribution of air flow in all four directions, which allows using of only one cartridge air conditioner for cooling of any big area (for achievement of analogical result in case of using wall-type split-systems you should have used 2-3 air conditioners of lower capacity). Column air conditioner is used if high cooling efficiency is needed and does not have any demands towards design of the room. This type of air conditioner reminds of refrigerator, has big weight and is installed on the floor. Column air conditioner demand comparatively big area for installation, as they create air-cooling blast, which makes being near the air conditioner impossible.